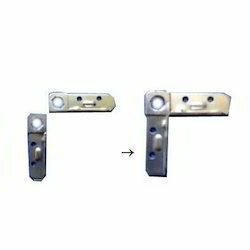 Specifications: CRCA Steel Zinc Plated or Galvanized Steel. Application: To Fix into Integral Stitched CGF1 20 mm Duct Flange. 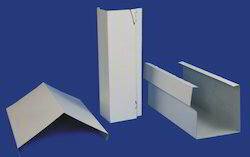 We are engaged in offering high quality corners to our clients. These are highly durable and are available at market leading prices. These are highly popular amongst our clients. Tungaloy aims at extending tool life as well as improving productivity, and stabilizing quality. In order to reach the aim, we chose great quality of tungsten-carbide grade and process that is sharpening the edge of iron and steel parts. Tungaloy Iron and Steel Parts are utilized in numerous production processes, for instance, cutting process. We are engaged in offering high quality Steel part to our customers.